In a landscape tormented by all manner of beasts, devils, and abominations from beyond the veil, most live in fear of the dark, of superstition, and of the unknown. Some grow hardened by this experience, instead choosing to stand up and fight against the tide of shadow. Some, however, are so fanatical and bent on destroying the anathema that plagues the countryside that they embrace dark, forbidden knowledge. They sacrifice some of their own vital force in dubious, forgotten blood rituals to better understand their enemies. Their methods sometimes blur the line between themselves and the evils they hunt, calling their own humanity into question. These warriors have chosen to merge the martial pursuit of deadly weapon play with elements of vicious blood magic to create impressively effective combat techniques. They surrender their own vitality to form a bond with their weapon, allowing them to harness the elements in a whirlwind of dangerous strikes. Their deep knowledge and unnatural connection with wicked creatures allows them an advantage in tracking, hunting, and destroying even the most resilient of abhorrent fiends. By mastering control over their own lifeblood and the lifeblood of others, they gain insight into their foes and the ability to manipulate them from the inside. Some brew crude, poisonous alchemical tonics from the harvested organs of felled monsters, mutating their blood and bodies to be even further in tune with their quarry, becoming something other than human themselves. Others go further, reaching out and making a pact with lesser dark entities in hopes of using their grim gifts against greater evils. Many blood hunters push too far for their goals, falling to their own hubris and becoming the monsters they’ve chosen to hunt. This is the greatest fear of a blood hunter, and of the societies at large that shun them. The nature of their abilities and training has bred many rumors across the lands, some of which aren’t too far from the truth. Common folk consider them cursed, often turning them away at the door. Nobles see them as occasionally convenient, but a generally reviled nuisance. Mages find them useful allies if kept at arm’s length, while pious clerics and paladins keep their distance with a watchful eye. To be a blood hunter is to accept a life of solitude until proven trustworthy and dependable. As you create your blood hunter, keep in mind how your character relates to society and why they have taken to a life of monster hunting. Do they wish to protect society and as such have paid the ultimate price? Do they have a family they wish to protect at all costs? Did they make a mistake that cost them greatly, and they wish to make amends for their folly? Or are they bent on vengeance for some past wound or loss that drove them to choose this dark warrior’s path? While a blood hunter begins their journey alone, they also acknowledge the strength in numbers and the benefits of trusted companions. Many blood hunters keep allies to both ensure that they succeed at their hunts, and to keep a watchful eye to prevent them from losing touch with their humanity. A blood hunter without conviction is lost, and often an honest friend is enough to keep them from straying. As a blood hunter, you gain the following class features. Beginning at 1st level, you have survived the imbibing of the Hunter’s Bane, a poisonous alchemical concoction that alters your life’s blood, forever binding you to the darkness and honing your senses against it. You have advantage on Wisdom (Survival) checks to track Fey, Fiends, and Undead, as well as on Intelligence checks to recall information about them. If you are actively tracking one of these creature types, you cannot be surprised by any creatures of that type. You can only be tracking one type of creature at a time. Upon reaching 11th level, you can flare the internal toxic scars from the ritual, using the pain to give clarity, or promote anger. You can choose to suffer damage equal to your crimson rite damage die to gain advantage on a Wisdom (Insight) check or Charisma (Intimidation) check. At 1st level, you learn to invoke a rite of blood magic within your weapon at the cost of your own vitality. Choose to learn one rite from the Primal Rites list below. You cannot change this choice. As a bonus action, you imbue a single weapon with the elemental energy of a known rite until your next short or long rest. While active, attacks from this weapon deal an additional 1d4 rite damage of the chosen elemental type. Rite damage is considered magical. The rite damage die changes as you gain blood hunter levels, as shown in the crimson rite damage die column of the blood hunter table. Should your weapon leave your grip, the rite fades immediately. An active rite on a weapon thrown fades directly after the attack is complete. When a crimson rite is activated, you suffer damage equal to your character level, and you reduce your maximum hit points by an amount equal to your character level. These lost maximum hit points return once the rite fades and cannot be restored otherwise. When a rite fades, no hit points are regained as part of the restoring of maximum hit points. Crimson rite can be used on multiple weapons, costing additional hit point loss. Most weapons can only be subject to a single rite at any given time. Each end of a polearm or quarterstaff is treated as a separate weapon for the purposes of this feature. A rite can be allowed to fade at any time (no action required). You gain access to an additional Primal Rite at 6th level and 11th level. You may learn an Esoteric Rite at 14th level. Your rite damage is necrotic type. Your rite damage is fire type. Your rite damage is cold type. Your rite damage is psychic type. Your rite damage is thunder type. Your rite damage is lightning type. At 2nd level, you gain the knowledge to further channel, and sacrifice, a part of your vital essence to curse and manipulate your enemies. You gain one blood curse of your choice, detailed in the “blood curses” section. You learn one additional blood curse of your choice, and you can choose one of the blood curses you know and replace it with another blood curse, at 5th, 9th, 13th, 16th, and 20th level. When you use your Blood Maledict, you choose which curse to invoke. While invoking a blood curse, but before it affects the target, you may choose to amplify the curse by suffering damage equal to a roll of your crimson rite damage die. An amplified curse gains an additional effect, noted in the curse’s description. Creatures that do not have blood in their bodies are immune to blood curses (DM’s discretion). You can use this feature once. You regain expended uses when you finish a short or long rest. Beginning at 6th level, you can use your Blood Maledict feature twice between rests, at 11th level you can use it three times between rests, and at 17th level, you can use it four times between rests. The blood curses are presented in alphabetical order. As a bonus action, you can attempt to bind an enemy no more than one size larger than you within 30 feet. The target must succeed on a Strength saving throw (DC equal to 8 + your proficiency bonus + your Wisdom modifier) or have their speed be reduced to 0 until the end of your next turn. Amplify. This curse becomes ongoing, and can affect a creature regardless of their size category. At the end of each of its turns, the cursed can make another Strength saving throw. On a success, this curse ends. You can end the curse whenever you like (no action required). As a bonus action, you can link to a creature within 30 feet for up to a minute, forcing them to share in the pain they inflict upon you. The next time the cursed creature damages you with a weapon attack, this curse deals necrotic damage to the cursed creature equal to half of the damage you suffered. This curse then ends. Amplify. This curse instead deals damage equal to the damage you suffered, and it ignores necrotic resistance. As a bonus action, you can manipulate the vitality of a creature within 60 feet to expunge a corruption in their blood. The target creature can immediately make a saving throw against a poisoned condition afflicting it. Amplify. Your target can instead immediately make a saving throw against one other condition afflicting it. This condition can be blinded, deafened, or paralyzed. When an enemy casts a spell within 60 feet that requires a spell attack roll and targets you, you can use your reaction to rend the spell from the air, imposing disadvantage on the spell attack roll. Amplify. You make a Wisdom ability check. The DC equals 10 + the spell’s level. On a success, the creature’s spell misses you automatically. When an enemy who is not immune to blindness within 60 feet makes a weapon attack, you can use your reaction to impose disadvantage on the attack roll. Amplify. Following the triggering attack, the affected enemy has disadvantage on the next attack roll they make. The moment a creature falls unconscious or dies within 30 feet of you, you can use your reaction to give that creature a final act of aggression. That creature immediately makes a single weapon attack against a target of your choice within its attack range. After the attack, the creature returns to being unconscious or dead. Amplify. You grant a bonus to the attack roll and damage roll of the cursed creature’s attack equal to your Wisdom modifier (minimum of 1). When an enemy casts a spell that requires a Dexterity saving throw, you can use your reaction to deflect the spell with your crimson rite. You gain a bonus to the initial saving throw against that spell equal to your Wisdom modifier (minimum of 1). This curse is invoked before the saving throw is rolled. Amplify. You grant all allies within 5 feet of you this bonus to their saving throw against the triggering spell as well. As a bonus action, you can mark an enemy within 60 feet. Until the end of your turn, all crimson rite damage you deal to the target is doubled. Amplify. You cause the marked target to also lose resistance to your rite damage type until the beginning of your next turn. At 3rd level, you commit to an order of blood hunter martial focus. Choose Order of the Mutant, Order of the Ghostslayer, Order of the Profane Soul, or Order of the Lycan, all detailed at the end of the class description. The order you choose grants you features at 3rd level, and again at 7th, 11th, 15th, and 18th level. When you reach 4th level, and again at 8th, 12th, 16th and 19th level, you can increase one ability score of your choice by 2, or you can increase two ability scores of your choice by 1. As normal, you can’t increase an ability score above 20 using this feature. When you reach 9th level, you can take 10 minutes to meditate on an object to discern vague details regarding any lingering evil or wicked past surrounding it. Make a Wisdom ability check. Based on the result, the DM may reveal obscure information about dark events that may have previously surrounded the object, or hints toward a sinister purpose. This feature has no effect on objects untouched by evil. An object can only be targeted by this feature once, and future attempts reveal no further details. You cannot use this feature again until you finish a short or long rest. Upon reaching 10th level, you beckon the surrounding shadows to grant you unnatural swiftness on the battlefield. You gain darkvision out to 30 feet, or if you have darkvision, extend it out an additional 30 feet. While in dim light or darkness, your speed increases by 10 feet, and attacks of opportunity made against you have disadvantage. When you reach 14th level, you can no longer become frightened, and you have advantage on saving throws against magical Charm effects. Upon becoming 20th level, your ability to harness your pain, and the pain of your foes, is perfected. When you are below one fourth of your current maximum hit points, all of your crimson rite damage dice are maximized. In addition, when you critically hit with a weapon attack that bears your crimson rite, you regain a use of your Blood Maledict feature. There are a handful of secretive orders of blood hunters that guard their cryptic techniques and blasphemous rituals. One must adhere to one of these orders to even be granted access to the Hunter’s Bane rite that starts their journey, and only once they’ve proven their ability will the secrets of the order begin to be revealed. Some even wait a few years before they are sure they want to continue down this cursed path. Either or, it’s within these small, enigmatic sects that the real power of a blood hunter is learned. The Order of the Ghostslayer is the oldest and most driven of the orders, having rediscovered the secrets of blood magic and refined them for combat against the scourge of undeath. Ghostslayers seek out and study the moment of death, obsessing over the mysteries of the transition. Some will sit with the terminally diseased to closely witness their passing, while others go so far as to deliberately have a near-death experience, allowing them to tune their body and senses to the ethereal realms beyond. When you join this order at 3rd level, you learn the esoteric rite Rite of the Dawn (detailed below). Rite of the Dawn. Your rite damage is radiant type. The damage you suffer from activating this rite is halved. If you hit an Undead creature with your Rite of the Dawn, it suffers additional radiant damage equal to your Wisdom modifier. Upon reaching 11th level, any creature you hit with your Rite of the Dawn suffers this additional radiant damage. Beginning at 7th level, your blood curses become honed to the fabric of a creature’s essence. Your blood curses can now affect any creature, regardless of their form or lack of blood. In addition, when you amplify a use of your Blood Maledict feature, after rolling the amplify damage you would sustain, you may choose to reroll the die and must use the new roll. Upon reaching 11th level, you’ve learned to briefly step into the spirit world, enabling a swift and deadly strike. When you use the Attack action on your turn, you can expend a use of this feature to attack three times, instead of twice, and you temporarily become spectral. Until the end of your next turn, you can move through other creatures and objects as if they were difficult terrain. You take 1d10 force damage if you end your turn inside an object. If you are inside an object when you are no longer spectral, you are immediately shunted to the nearest unoccupied space that you can occupy and take force damage equal to twice the number of feet you moved. You may expend a use of this feature as a bonus action instead of making an attack. You can use this feature a number of times equal to your Wisdom modifier (a minimum of once). You regain all expended uses when you finish a short or long rest. At 15th level, you can see through magical darkness up to 30 feet, as well as see invisible creatures and objects up to 30 feet. Upon reaching 18th level, you learn to project your spirit to fight on while on the edge of death. Whenever your hit points drop to 0, you can choose to let your soul emerge from your body to fight on. Your body remains unconscious and subject to death saving throws per normal. At the beginning of your next turn, you manifest a spirit form in your space that picks up your weapons and continues fighting on, acting on your turn and every one of your subsequent turns under your control. Your spirit form has your physical attributes and armor class, as well as your weapons and ammunition, and can move through other creatures and objects as if they were difficult terrain. This form is immune to cold, necrotic, and non-magical weapon damage. Your spirit form has access to all of your abilities and suffers no damage from your Crimson Rite feature. If your spirit form takes any damage, your body dies, or you regain any hit points, your spirit form vanishes. If your spirit form vanishes, it drops your weapons in its space. Of the many terrible curses that plague the realm, few are as ancient or as feared as Lycanthropy. Passed through blood, this affliction seeds a host with the savage strength and hunger for violence of a wild beast. Those that shun the curse spend their lives burying their wild, bestial urges deep inside. However, the power of a rising full moon makes the curse too strong to resist, and the host transforms into a terrifying animal-humanoid hybrid controlled by murderous impulse. Those that embrace the dark Nature of their curse learn to harness their bestial gifts, but also succumb to the evil, vicious temperament that drives the beast within. The Order of the Lycan is a proud order of blood hunters who undergo “The Taming”, a ceremonial inflicting of lycanthropy from a senior member. These hunters then use their abilities to harness the power of the monster they harbor without losing themselves to it. Through intense honing of one’s own willpower, combined with the secrets of the order’s blood magic rituals, members learn to control and unleash their hybrid form for short periods of time. Enhanced physical prowess, unnatural resilience, and razor sharp claws make these warriors a terrible foe to any evil that crosses their path. Yet, no training is perfect, and without care and complete focus, even the greatest of blood hunters can temporarily lose themselves to the bloodlust. Those inducted into the Order of the Lycan choose this path with conviction, understanding the terrible burden it is and the challenges it brings. Where most who embrace this curse grow wicked, mad, even murderous, these blood hunters accept the gifts of the beast while maintaining control through intense training and blood magic. These factors enable a member of the Order of the Lycan to prevent the spread of their curse through blood, should they wish to. One of the most sacred oaths of this order is to never infect another without the order’s sanction. Should a member of the Order of the Lycan be cured of the lycanthropic curse, it is a terrible shame on their name, the order, and those who carry the curse still. There have been passages written about members being cleansed against their will, but those brothers and sisters readily return to the order to undergo a renewed initiation of The Taming, reintroducing the curse to their bodies and restoring their honor. Lycanthropy comes in many forms. Each version of the curse is bound to a specific beast: wolf, bear, tiger, boar, and rat are a few of the more well-known variations. The strain of the curse defines the beast a hybrid form will share, but the features the curse bestows remain relatively uniform across strains. Starting when you choose this archetype at 3rd level, you begin to adopt the improved abilities of a natural predator. You gain advantage on any Wisdom (Perception) checks that rely on hearing or smell. Upon choosing this archetype at 3rd level, you begin to learn to control the lycanthropic curse that now lives in your blood. As an action, you can transform into your Hybrid form. This form lasts for 10 minutes. You can speak, use equipment, and wear armor in this form. You can revert to your normal form earlier by using an action on your turn. You automatically revert to your normal form if you fall unconscious, drop to 0 hit points, or die. The benefits of this form replace the rules for Lycanthropy within the Monster’s Manual. Feral Might. You gain a bonus to melee damage rolls equal to half your proficiency bonus (rounded down). You also have advantage on Strength checks and Strength saving throws. Resilient Hide. You have resistance to bludgeoning, piercing, and slashing damage from nonmagical weapons that aren’t silvered. While you are not wearing heavy armor, you gain a +1 bonus to your AC. Predatory Strikes. Your unarmed strikes are considered a single weapon in regards to your crimson rite feature. You can use Dexterity instead of Strength for the attack and damage rolIs of your unarmed strikes. When you use the Attack action with an unarmed strike, you can make another unarmed strike as a bonus action. Your unarmed strikes deal 1d6 slashing damage. This die increases to 1d8 at 11th level, and 1d10 at 18th level. Cursed Weakness. Your have vulnerability to damage from silvered weapons. Bloodlust. At the start of your turn, if you’ve taken any damage since the beginning of your last turn, you must make a Wisdom saving throw to maintain control. The DC equals 10, or half of the total damage you’ve taken from attacks since your last turn, whichever number is higher. On a failed save, you must move directly towards the nearest creature to you and use the Attack action against that creature. If there is more than one possible target, the DM chooses the target. You then regain control for the remainder of your turn. If you are under an effect that prevents you from concentrating (like the Barbarian’s rage feature), you automatically fail this saving throw. At 7th level, your speed increases by 10 feet. You also can add 10 feet to your long jump distance and 3 feet to your high jump distance. In addition, your hybrid form gains the Improved Predatory Strikes feature. Improved Predatory Strikes. When you have an active rite while in your hybrid form, your unarmed strikes are considered magical for the purpose of overcoming resistance and immunity to nonmagical attacks and damage. Starting at 11th level, you learn to unleash and control more of the beast within. You can now transform into your hybrid form as a bonus action, and your hybrid transformation now lasts for up to 30 minutes. In addition, your hybrid form gains the Lycan Regeneration and Beastly Precision features. Lycan Regeneration. At the start of each of your turns, you regain hit points equal to 1 + your Constitution modifier (minimum of 1) if you have no more than half of your hit points left. You don't gain this benefit if you have 0 hit points. Beastly Precision. You gain a bonus to melee attack rolls made with your unarmed strikes equal to half of your proficiency bonus (rounded down). Beginning at 15th level, you’ve honed your willpower to better resist the violent urges of your lycanthropic curse. Whenever you make a Wisdom saving throw to maintain control of your hybrid form, you do so with advantage. In addition, your hybrid form gains the Pack Hunter feature. Pack Hunter. You have advantage on an attack roll against a creature if at least one of your allies is within 5 feet of the creature and the ally isn’t incapacitated. At 18th level, you have wrestled your inner predator and mastered it. You can now use your hybrid transformation feature three times between rests. You also gain the Blood Curse of the Howl for your Blood Maledict feature. This does not count against your blood curses known. Blood Curse of the Howl. As an action, you howl at any number of creatures within 30 feet, chilling their blood and stunning them with fear. Any of the target creatures that can hear you must succeed on a Wisdom saving throw (DC equal to 8 + your proficiency bonus + your Wisdom modifier) or become frightened of you until the end of your next turn. If they fail their saving throw by 5 or more, they are stunned until the end of your next turn instead. A creature that succeeds on this saving throw is immune to this blood curse for the next 24 hours. Amplify. This curse can target any number of creatures within 60 feet of you. The process of consuming the Hunter’s Bane is a painful, scarring, and often fatal experience. Those that survive find themselves irrevocably changed, enhanced. Some found this experience exalting, embracing the ability to alter one’s own physiology through corrupted alchemy. Over generations of experimentation, a splinter order of blood hunters began to emerge, one that focused on brewing toxic elixirs to modify their capabilities in battle, altering their blood and, over time become something beyond human. They called themselves the Order of the Mutant. You begin to uncover forbidden alchemical formulas that temporarily alter your mental and physical abilities. Beginning at 3rd level, you choose to learn three mutagen formulas. Your formula options are detailed at the end of this order description. You gain an additional formula at 7th level, 11th level, 15th level, and 18th level. Additionally, when you gain a new mutagen formula, you can choose one of the formulas you already know and replace it with another mutagen formula. At 3rd level, you can take a short rest to concoct a single mutagen. Consuming a single mutagen requires a bonus action, and the effects (including side effects) last until you complete a short or long rest, or spend an action to focus and flush the toxins from your system. Mutagens are designed for your biology. They have no effect on large or larger creatures, and only impart the side effects on other medium or smaller creatures that drink the entire mutagen. They are also unstable by nature, losing their potency over time and becoming inert if not swallowed before you finish your next short or long rest. Your body will begin to better utilize the toxins you instill it with as you grow in power and experience. These advancing mutations may be signified by a Mutation score. Mutation Score = your blood hunter level divided by 4, rounded up. Upon reaching 7th level, when you take a short rest to concoct a mutagen, you can now create two. Mutagens must be different formulas, and can be ingested with overlapping effects that last until you finish your next short or long rest. Each mutagen still takes a separate bonus action to imbibe. Once you reach 15th level, you can now create three mutagens during a short rest. Beginning at 11th level, you can use a bonus action to instill a burst of adrenaline to temporarily resist the negative effects of a mutagen. You can choose to ignore the side effect of a mutagen affecting you for 1 minute. At 15th level, your body has begun to adapt to toxins and venoms, ignoring their corroding effects. You gain immunity to poison damage and the poisoned condition. Upon reaching 15th level, when you take a short rest to concoct a mutagen, you can now create three. Mutagens must be different formulas, and can be ingested with overlapping effects that last until you finish your next short or long rest. Each mutagen still takes a separate bonus action to imbibe. At 18th level, your body has begun producing one of your toxins naturally. Choose one of your known mutagen formulas. You gain the benefits and side effects of this mutagen permanently, at all times. You cannot change this choice of formula after this feature is acquired. These mutagens are presented in alphabetical order. Some mutagens require a number of levels in blood hunter before you can gain the formula. You can learn a mutagen at the same time you meet its prerequisites. You gain a flying speed of 20 feet. Side effect: You have disadvantage on all Strength and Dexterity ability checks. Your Dexterity score increases by an amount equal to your mutation score, as does your Dexterity maximum. Side effect: Your Wisdom score decreases by amount equal to your mutation score. You gain advantage on Intelligence ability checks. Side effect: You have disadvantage on Charisma ability checks. You can make a single weapon attack as a bonus action on each of your turns. Side effect: You have disadvantage on all Intelligence, Wisdom, and Charisma saving throws. You gain resistance to piercing damage. Side effect: You gain vulnerability to slashing damage. You gain immunity to the grappled and restrained conditions. At 11th level, you also are immune to the paralyzed condition. Side effect: You gain a penalty to initiative equal to 2 times your mutation score. You gain darkvision for up to 60 feet. If you already have darkvision, this increases its range by 60 additional feet. You have disadvantage on attack rolls and on Wisdom (Perception) checks that rely on sight when you, the target of your attack, or whatever you are trying to perceive is in direct sunlight. Your Strength score increases by an amount equal to your mutation score, as does your Strength maximum. Side effect: You have disadvantage on all Dexterity saving throws. Your weapon attacks score a critical hit on a roll of 19-20. Side effect: All healing you receive is halved. Your speed increases by 15 feet. At 15th level, your speed increases by 20 feet instead. Side effect: You have disadvantage on Dexterity ability checks. While conscious and in combat, you regenerate hit points equal to 2 times your mutation score at the start of your turn as long as you are above 0 hit points. Side effect: Your speed decreases by 10 ft. Your Wisdom score increases by an amount equal to your mutation score, as does your Wisdom maximum. Side effect: Your armor class is reduced by an amount equal to your mutation score. You gain resistance to slashing damage. Side effect: You gain vulnerability to bludgeoning damage. You gain resistance to bludgeoning damage. Side effect: You gain vulnerability to piercing damage. You gain a bonus to initiative equal to 2 times your mutation score. Side effect: You have disadvantage on Wisdom (Perception) checks. The magics adopted by the wayward blood hunter prove formidable against many an evil across the realm. However, the darkest of abominations draw from an ancient well of cruel, unfathomable power. These terrors can control shadows to do their bidding, hide in plain sight among the noblest of nobles, and bend the minds of the most stalwart warrior with but a glance. These fiends are far trickier to hunt, and many lost their lives in pursuit of such wickedness. A small sect of blood hunters had finally had enough and delved into this same well of corrupting arcane knowledge, making pacts with lesser evils to better combat the greater. While they may have lost a part of themselves, the power gained far outweighed the price, for even devils now quake when they know they’ve drawn the attention of the Order of the Profane Soul. When you reach 3rd level, you strike a bargain with an otherworldly being of your choice: the Archfey, the Fiend, or the Great Old One, each detailed in the warlock section of the Player's Handbook, the Undying in the Sword Coast Adventurer’s Guide, or the Celestial or Hexblade in Xanathar’s Guide to Everything. Your choice augments some of your order features. Your patron is a lord or lady of the fey, a creature of legend who holds secrets that were forgotten before the mortal races were born. This being’s motivations are often inscrutable, and sometimes whimsical, and might involve a striving for greater magical power or the settling of age-old grudges. Beings of this sort include the Prince of Frost; the Queen of Air and Darkness, ruler of the Gloaming Court; Titania of the Summer Court; her consort Oberon, the Green Lord; Hyrsam, the Prince of Fools; and ancient hags. You have made a pact with a fiend from the lower planes of existence, a being whose aims are evil, even if you strive against those aims. Such beings desire the corruption or destruction of all things, ultimately including you. Fiends powerful enough to forge a pact include demon lords such as Demogorgon, Orcus, Fraz’Urb-luu, and Baphomet; archdevils such as Asmodeus, Dispater, Mephistopheles, and Belial; pit fiends and balors that are especially mighty; and ultroloths and other lords of the yugoloths. Your patron is a mysterious entity whose nature is utterly foreign to the fabric of reality. It might come from the Far Realm, the space beyond reality, or it could be one of the elder gods known only in legends. Its motives are incomprehensible to mortals, and its knowledge so immense and ancient that even the greatest libraries pale in comparison to the vast secrets it holds. The Great Old One might be unaware of your existence or entirely indifferent to you, but the secrets you have learned allow you to draw your magic from it. You have made your pact with a mysterious entity from the Shadowfell — a force that manifests in sentient magic weapons carved from the stuff of shadow. The mighty sword Blackrazor is the most notable of these weapons, which have been spread across the multiverse over the ages. The shadowy force behind these weapons can offer power to warlocks who form pacts with it. Many hexblade warlocks create weapons that emulate those formed in the Shadowfell. Others forgo such arms, content to weave the dark magic of that plane into their spellcasting. Death holds no sway over your patron, who has unlocked the secrets of everlasting life, although such a prize — like all power — comes at a price. Once mortal, the Undying has seen mortal lifetimes pass like the seasons, like the flicker of endless days and nights. It has the secrets of the ages to share, secrets of life and death. Beings of this sort include Vecna, Lord of the Hand and the Eye; the dread Iuz; the lich-queen Vol; the Undying Court of Aerenal; Vlaakith, lich-queen of the githyanki; and the deathless wizard Fistandantalus. When you reach 3rd level, you can augment your combat techniques with the ability to cast spells. See chapter 10 of the Player's Handbook for the general rules of spellcasting and chapter 11 in the Player's Handbook for the Warlock spell list. Cantrips. You learn two cantrips of your choice from the warlock spell list. You learn an additional warlock cantrip of your choice at 10th level. Spell Slots. The Profane Soul Spellcasting table shows how many spell slots you have. The table also shows what the level of those slots is; all of your spell slots are the same level. To cast one of your warlock spells of 1st level or higher, you must expend a spell slot. You regain all expended spell slots when you finish a short or long rest. For example, when you are 8th level, you have two 2nd-level spell slots. To cast the 1st-level spell witch bolt, you must spend one of those slots, and you cast it as a 2nd-level spell. Spells Known of 1st Level and Higher. At 3rd level, you know two 1st-level spells of your choice from the warlock spell list. The Spells Known column of the Profane Soul table shows when you learn more warlock spells of your choice of 1st level and higher. A spell you choose must be of a level no higher than what’s shown in the table’s Slot Level column for your level. When you reach 11th level, for example, you learn a new warlock spell, which can be 1st, 2nd, or 3rd level. Additionally, when you gain a level in this class and order, you can choose one of the warlock spells you know and replace is with another spell from the warlock spell list, which also must be of a level for which you have spell slots. Spellcasting Ability. Wisdom is your spellcasting ability for your warlock spells, so you use your Wisdom whenever a spell refers to your spellcasting ability. In addition, you use your Wisdom modifier when setting the saving throw DC for a warlock spell you cast and when making an attack roll with one. Begining at 3rd level, your weapon becomes a core to your pact with your chosen dark patron. While you have an active rite, you can use your weapon as a spellcasting focus (found in chapter 5 of the Player’s Handbook) for your spells. Your chosen pact also enhances your rite. If you deal rite damage to a creature, that creature loses any half or three-quarters cover bonuses, as well as invisibility, until the beginning of your next turn. You can expend a use of your Blood Maledict feature as a bonus action to heal one creature within 60 feet of you. 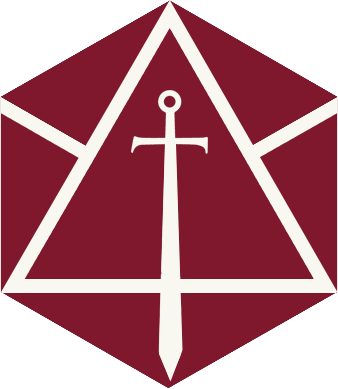 They regain hit points equal to your crimson rite damage die rolled twice + your Wisdom modifier (minimum of 1). While using the Rite of the Flame, if you roll a 1 on your rite damage die, you may reroll the die. You may reroll only once per attack. Whenever you deal a critical hit to a creature, that creature must make a Wisdom saving throw against your spell save DC. On a failure, the creature is frightened of you until the end of your next turn. Whenever you target a creature with a blood curse, your next attack against the cursed creature is a critical hit on a roll of 19 or 20 on the attack. Whenever you reduce a hostile creature to 0 hit points with a weapon attack, and kill it, you regain hit points equal to your crimson rite damage die. At 7th level, your dark patron grants you the rare use of a dangerous arcane spell based on your pact. You can cast blur once using a profane soul spell slot. You can’t do so again until you finish a long rest. You can cast lesser restoration once using a profane soul spell slot. You can’t do so again until you finish a long rest. You can cast scorching ray once using a profane soul spell slot. You can’t do so again until you finish a long rest. You can cast detect thoughts once using a profane soul spell slot. You can’t do so again until you finish a long rest. You can cast branding smite once using a profane soul spell slot. You can’t do so again until you finish a long rest. You can cast blindness/deafness once using a profane soul spell slot. You can’t do so again until you finish a long rest. At 11th level, you can temporarily infuse your rite with the seed of a powerful spell. As an action, you can imbue your rite-enhanced weapon with one warlock spell you can cast or is already active, then make a single attack with that weapon. The spell must be using a warlock or profane soul spell slot. If that attack hits, all spell attack rolls for the imbued spell hit the target automatically and are considered part of the single weapon attack. The target takes weapon damage, and is subject to the effects of the spell, expending a spell slot accordingly. If the attack has advantage, the target’s initial saving throw against the spell has disadvantage. If the attack misses, the spell has no effect. Area spells originate from the target’s space. The spell must be of 1st level or higher, have a casting time of 1 action, or require an action to activate an already active concentration spell. At 15th level, your dark patron grants you the rare use of an additional arcane spell based on your pact. You can cast slow once without using a profane soul spell slot. You can’t do so again until you finish a long rest. You can cast revivify once without using a profane soul spell slot. You can’t do so again until you finish a long rest. You can cast fireball once without using a profane soul spell slot. You can’t do so again until you finish a long rest. You can cast haste once without using a profane soul spell slot. You can’t do so again until you finish a long rest. You can cast blink once without using a profane soul spell slot. You can’t do so again until you finish a long rest. You can cast bestow curse once without using a profane soul spell slot. You can’t do so again until you finish a long rest. When you reach 18th level, you learn to sacrifice the souls of powerful foes to your dark patron in exchange for immediate power. When you reduce a creature to 0 hit points with an attack, kill the creature, and they have a challenge rating of 15 or above, you recover an expended spell slot. I really enjoy the theming of this class. Much like Mercer's other classes/subclasses like Gunslinger, they add utility and interesting choices in character creation. Such a great addition to the game. Well crafted class. The subclasses really feel distinct and infused with story potential. The mechanics look fun, and I will be trying one of these characters out soon! I'm very confused. I made a dex build with the intent of going order of they lycan. In the meanwhile at level 1 my character has a longsword... not a greatsword. This turns out to be a Str. based attack. What's the right way to build this and still not be a sissy when using a melee attack so that the dex still counts when i shift? I did something wrong for certain. Longswords are strength based. You need a shortsword to use Dex. Does Precision lower your health regeneration from Reconstruction? (Order of the mutant mutagens). Does Blood Curse of the Marked amplification remove their resistance to any incoming damage from that rite type? Or just against that rite's damage. I just started playing a lv 16 full blood hunter goblin order of the mutant today. The DM is being very nice to even allow it. So reasoning/specific wording would be nice instead of just 'yes/no' answers. Thanks in advance. Use a finesse weapon, such as a rapier. In the strictest sense I would say yes, Precision halves Reconstruction regeneration, only because regeneration is a type of healing. However, I can definitely see the argument that they should be treated separately because normally I think of healing as potions, spells, and rests, not abilities. And with the imbibing of the mutuagen that's essentially what it becomes, an ability. But then again, this is just my opinion so, I think what's important is that you and your DM are on the same page whichever way you choose. Thank you everyone. I don't know how I missed this. I think being able to turn into a beast 3 times by lvl 18 is not that good by that time you should have a mastery of it and be able to turn into it any number of time's like the barb does with his rage. 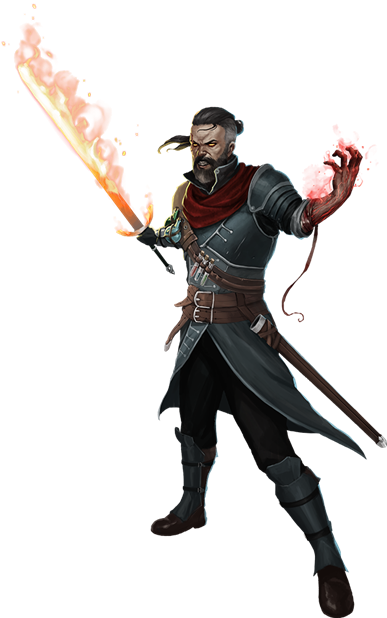 It seems somebody really wanted to play a Witcher inspired D&D character. Cant really blame them tbh. Its been around nearly as long as DnD, its surprising its taken this long to come through. Plus, playing an eldritch knight style blaster but with warlock powers is a pretty damn fun character. Matthew Mercer is a huge Witcher fan, I'm assuming the Order of the Mutant is his homage to such an amazing series. So when determining how many times you can use the Blood Maledict feature and how many Blood Curses you know, do you use your blood hunter class level or your total class level? This also applies to Rite of the Dawn through Ghostslayer which doesnt indicate class or character level. I think it would be great if shape change was added to order of the Lycan for whatever animal hybrid form you chose. For example werewolf can become a wolf or werebear can become a bear.